Week 7 (April 4-10) of the Signs of Spring Challenge brought three new additions to the list, with 18 of 20 Signs now officially recorded at Ashland this Spring. The first blooming Violet of the season at Ashland. Image by Derek Stoner. On Monday, April 4th, I spotted the first Barn Swallows of the year. Circling around the Ashland Lodge, checking out their potential nest sites, four Barn Swallows chattered cheerfully on a dark, cloudy morning. Shortly after the swallow sighting, I observed an American Robin gathering nesting material and building her nest on a beam of the lodge. The rest of the week held all sorts of excitement, with warm temperatures bringing a frenzy of animal activity to the grounds of Ashland. The mating trills of American Toads spread throughout the marsh, adding to the continuing chorus of Spring Peepers. Red-spotted Newts, Garter Snakes, and Pickerel Frogs all provided exciting sightings for Ashland visitors. 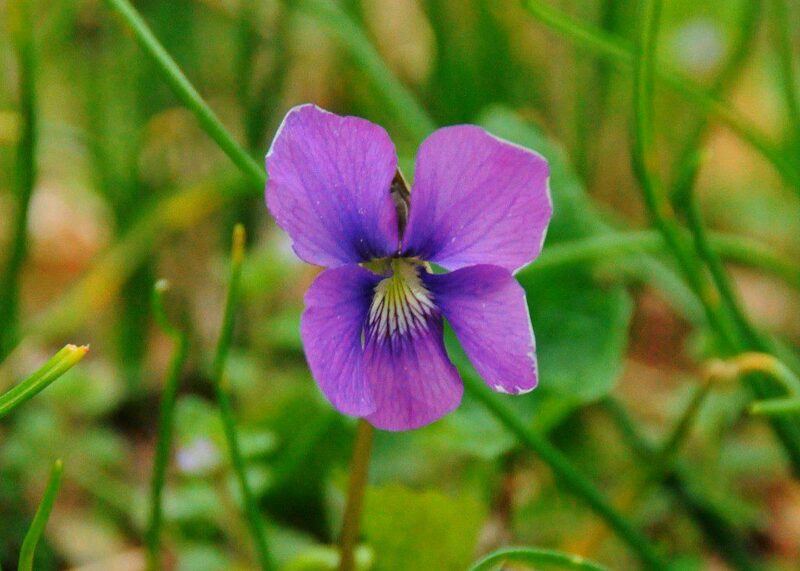 To wrap up the week, the first blooming Violet of the season was spotted on Saturday, April 9, along the floodplain near the Ashland Covered Bridge. To begin Week 8, Mayapples are unfurling their umbrella-like leaves, the trilliums are popping up by the nature center door, and sassafras blooms are getting ready to pop. This is likely the first “big week” of Spring where a huge amount of change happens in short amount of time. Literally overnight, trees unfurl leaves and flowers burst into bloom. 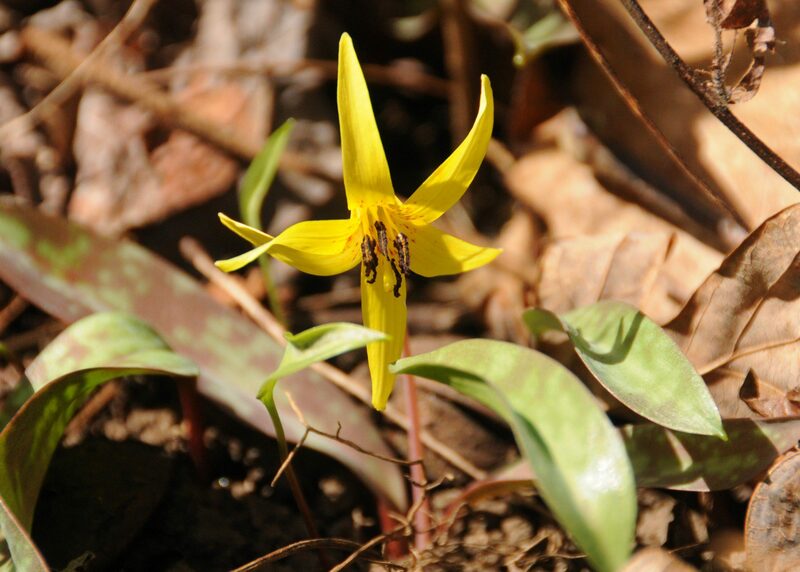 Our two remaining Signs of Spring to be accounted for are House Wren and blooming Trout Lily. This may be the week for their appearance at last!